autumn leaves is a stunning sight you can't pass up. 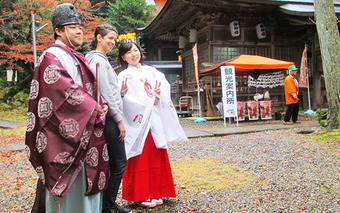 Yabu Shrine is "Tajima no kuni sangu; Shikinaisha (Myojintaisha)" and it is called, "yabu no myojin-san." This shrine patronizes the god of agriculture and is one of Tajima's five representative shrines. Yabuichiba in Yabu city was once a center for Tajima cattle auctions. They still have Tajima cattle auctions in Oyabu town. 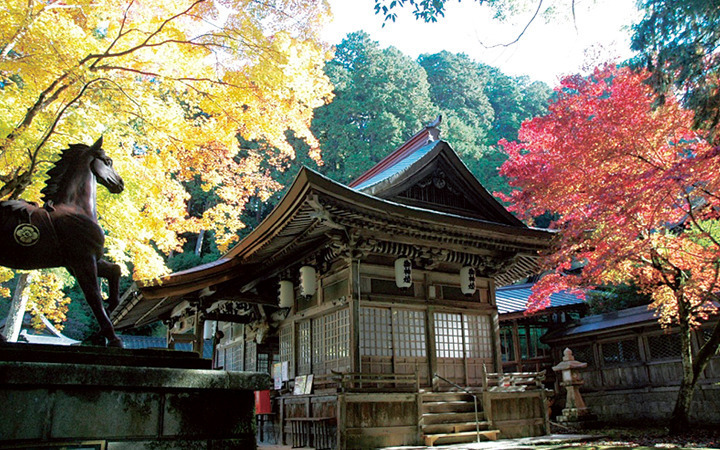 Yabu Shrine is also one of the most famous locations for autumn leaves in Hyogo. The beautiful harmony combination of the vermilion bridge and the autumn leaves is something you simply can not pass up. 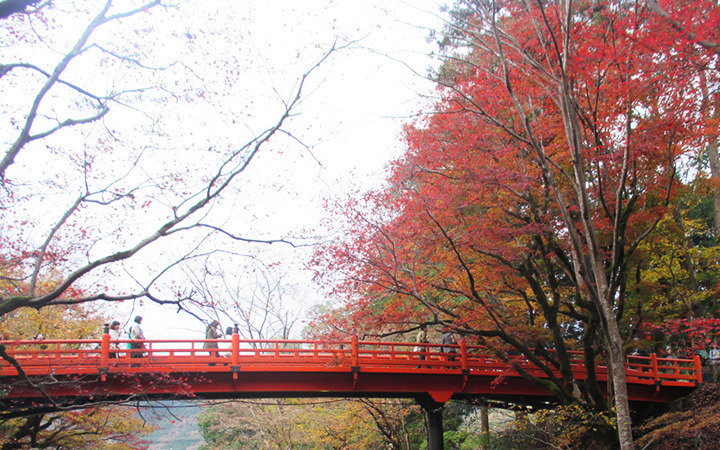 You will encounter a delicate Japanese beauty and atmosphere when you look up at the view from underneath the bridge.